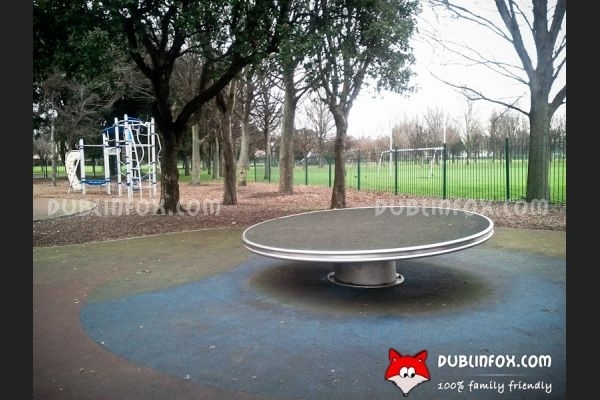 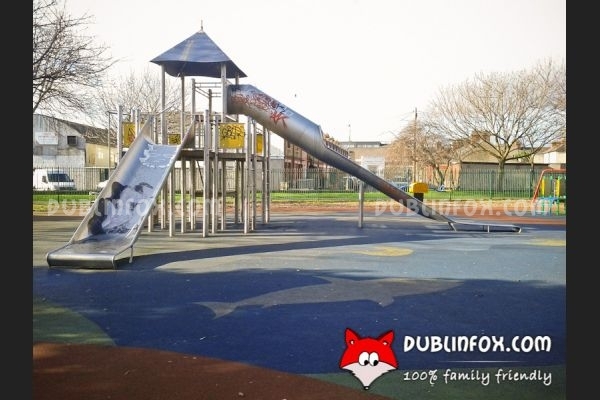 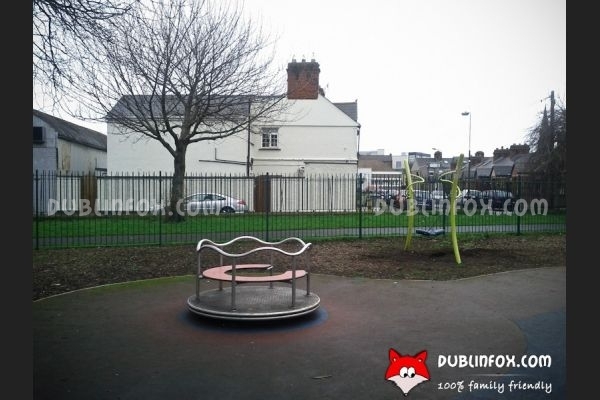 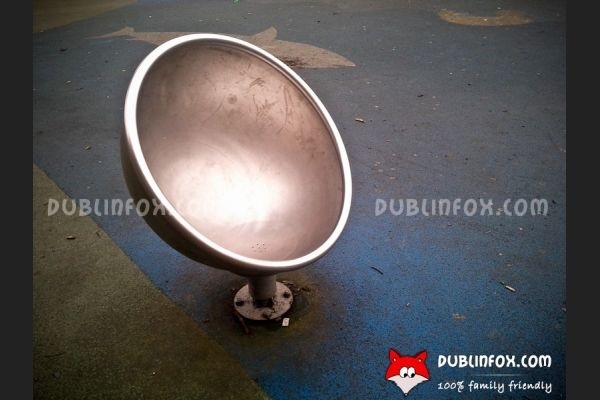 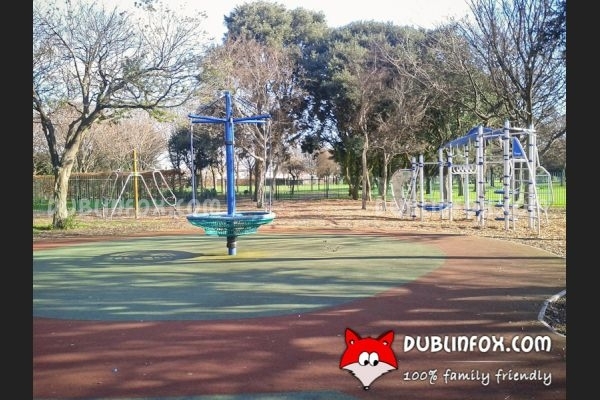 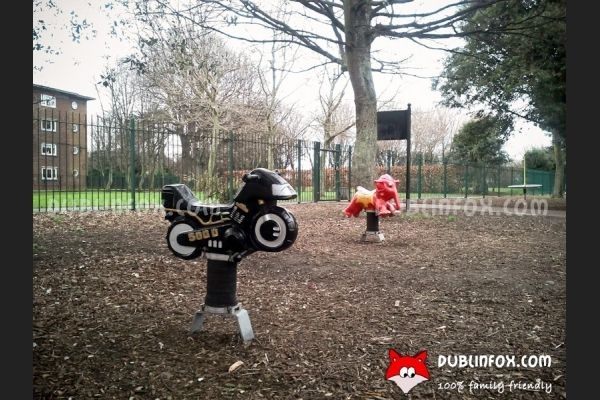 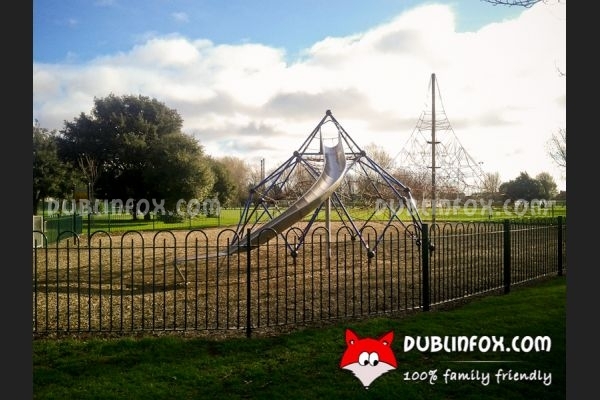 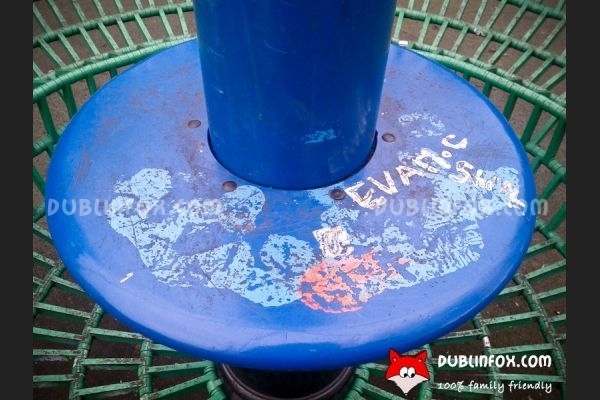 Ringsend park playground comprises two areas: the junior and the senior play area. 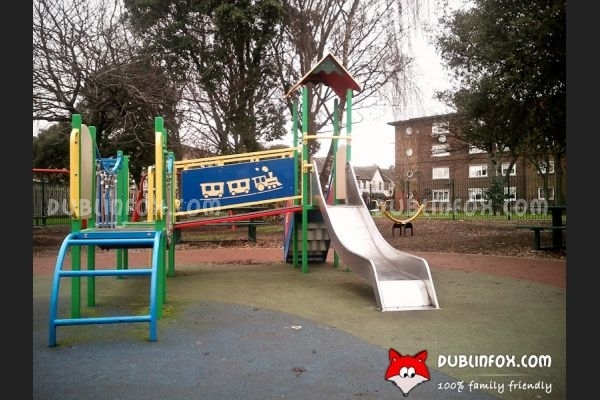 The senior play area is less sophisticated, it has a climbing net unit and a climbing frame with a curved slide only, so most of the older kids choose the junior play area instead. 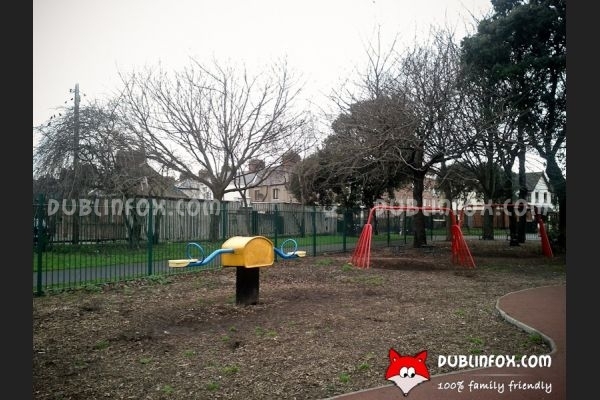 The junior play area is relatively big, so no matter how busy the playground is, it does not seem too crowded. 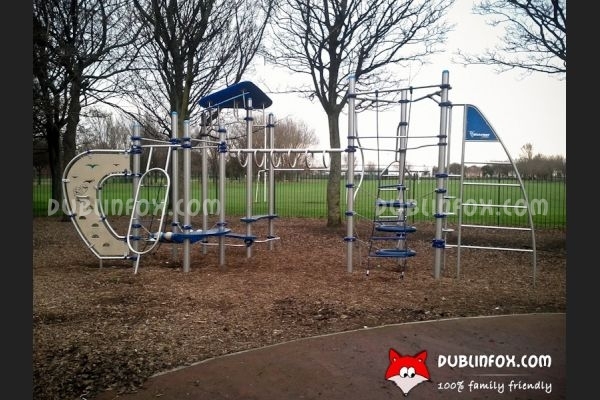 The small slide unit, the springers, the see-saw, the baby swings are perfect for toddlers, while the climbing structures, the swivel chair, the dutch disk, the roundabout swing and the massive multi play unit with two slides are more suitable for older children. 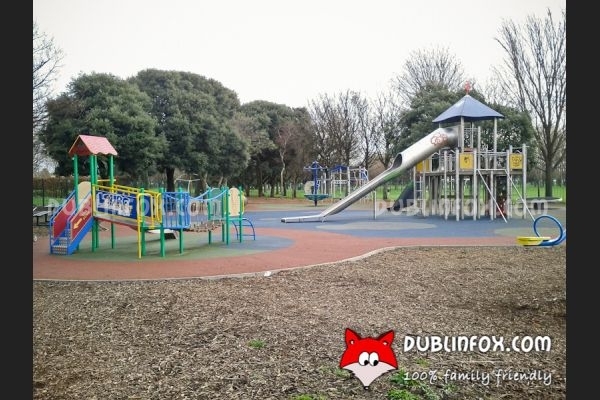 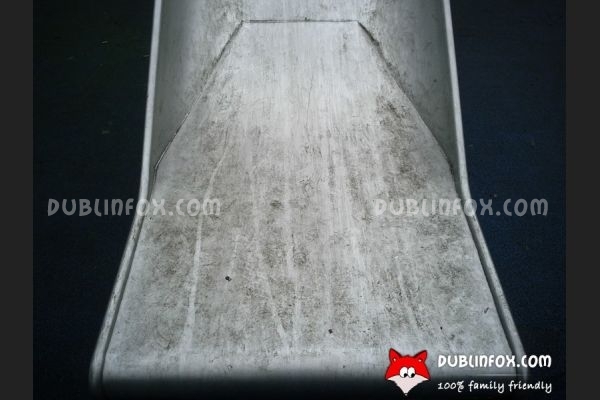 Unfortunately, sometimes the playground is full of litter and it is very dirty, which is a pity, because otherwise it could be a very friendly spot for kids in the heart of Ringsend / Irishtown. 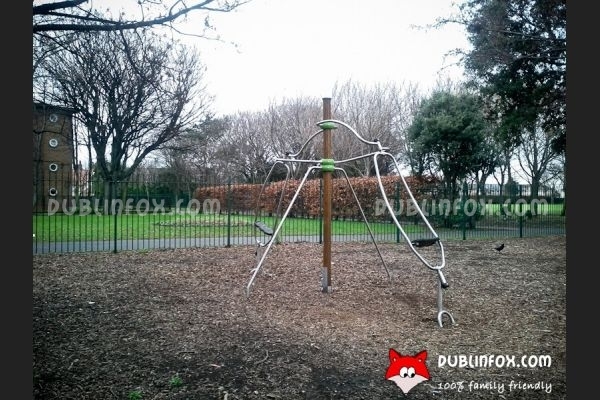 Click here to open Ringsend Park's website in a new window.